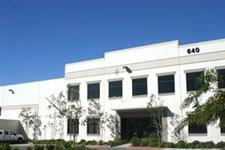 SR Plastics, Precision Injection Molding Company located in Southern California, provides expert manufacturing and production of precision injection molded plastics and thermoplastic rubber components. We complete projects in a variety of industries including aerospace, musical instrument, commercial irrigation, medical, and automotive sectors. We offer specialized service in manufacturing tooling design and development. SR Plastics partners with clients to provide strategic advice on the most effective application and design for manufacture and production. We recognize our job is to create solutions for maximum efficiency and quality of your products and services. We are proud of our precision manufacturing abilities, and our range of expertise in many industries. We specialize in the manufacture of a wide variety of precision injection molded plastic and thermoplastic rubber components for highly specific industries. Our industrial solutions have included optical lenses for the safety industry and aircraft electronic components used in control valve applications. We have completed projects for the construction and plumbing industry with valve components used in potable water applications. SR Plastics has even provided precision molded products used throughout the musical instrument market, specifically in the guitar industry. Our ability to provide expert precision injection molding results from over 50 years of combined experience with injection molding tooling design and production manufacturing of injection molded components. We have developed our skills through many decades, and continue to keep pace with the current production demands, including environmentally conscious techniques. We are able to produce products from post consumer materials utilizing ‘green technology’ to design and manufacture products that are ecologically acceptable to the environment. The use of diverse engineered materials combined with years of production manufacturing experience in precision plastic injection molded parts enables SR Plastics to meet stringent requirements for any application component. Our manufacturing process has been refined and streamlined for efficiency. 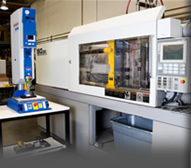 SR Plastics provides a complete array of services, including secondary operations to include over molding, hot stamping, sonic welding, and assemblies. To execute efficient manufacturing and production SR Plastics utilizes and impressive collection of equipment, including 14 molding machines with a 25 to 250 ton capacity range. Quality control and inspection is a key consideration of SR Plastics. We use CMM measuring equipment, an optical comparator, and various other calibrated inspection plates, inspection gages, and micrometers. From the initial design of the injection molding tooling to the final inspection of the component, SR Plastics actively works to meet your injection molded component needs. As another support service, SR Plastics provides a vendor-managed inventory program which can handle the existing quantity of your components currently in stock. Our inventory support service means no need to worry about reordering parts when current inventory runs low. SR Plastics is committed to creating a profitable and convenient system for your inventory management. Whatever your requirement or need in precision injection molded plastic or thermoplastic rubber products, contact SR Plastics, Precision Injection Molding Company today to discuss your application.